After a breakfast of Raspberry Pop-Tarts I decided to change things up for lunch. 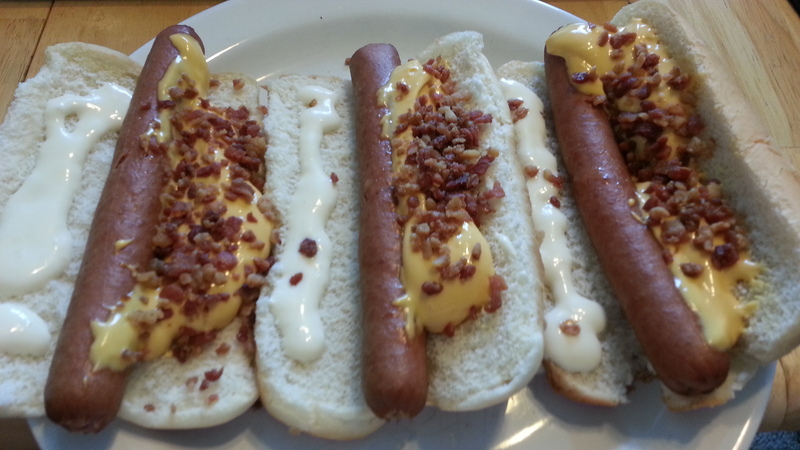 How about Bacon Cheese Dogs with Bertman’s Horseradish sauce? I know Bob will not approve as the cheese came out of a jar, but it is Oscar Meyer Real Bacon Bits on top, so that should be worth something.